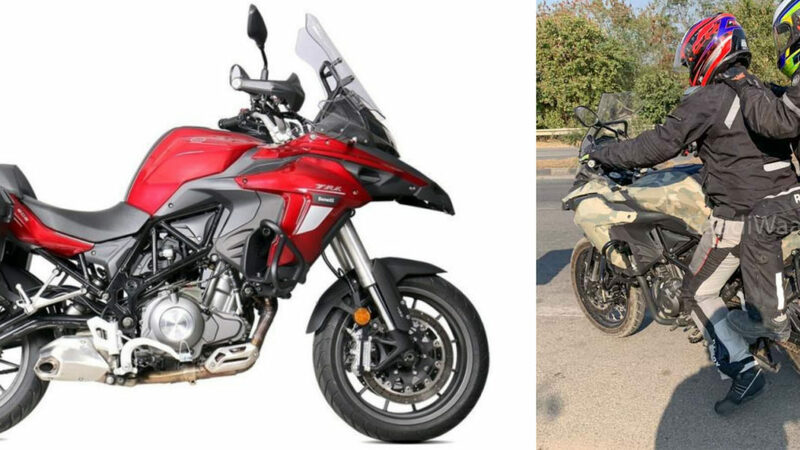 Benelli officially announced its re-entry into India earlier this year with its new partner Hyderabad based Mahavir Group and the company is planning to launch 12 new bikes in India by the end of 2019. Among them will be the much-awaited TRK 502 and 502X as adventure segment is India is registering good growth. We have spotted the off-road-focused TRK 502X in India for the first time and the test mule is heavily camouflaged to hide details. The TRK 502X made its global debut at the 2017 EICMA and we are getting the same International spec model. The new half-fairing design of 502X is in line with other adventure bikes, which gives a muscular look. 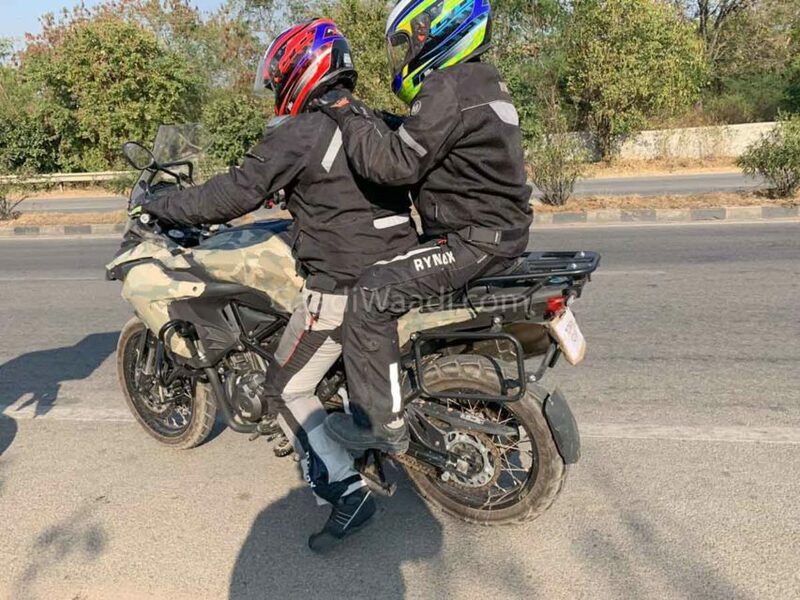 The front fender is small and the company has given a tall windscreen, which is non-adjustable like some of its competitors. The TRK 502 X gets a single-piece handlebar as it is positioned on the taller side, while the rider seat is low, which will make it easier for shorter riders and the TRK 502X come with split seats. The instrument cluster of TRK 502X is a mix of analogue and digital combination as the tachometer is analogue while all other information is displayed on the screen. Benelli has given bigger 20-litre fuel tank for the 502X and the rear gets LED tail lamps. The TRK 502X is offered with lots of accessories like luggage panniers, saddle stays, etc. The suspension duties are handled by 50 mm upside-down front forks and the rear gets adjustable mono-shock. 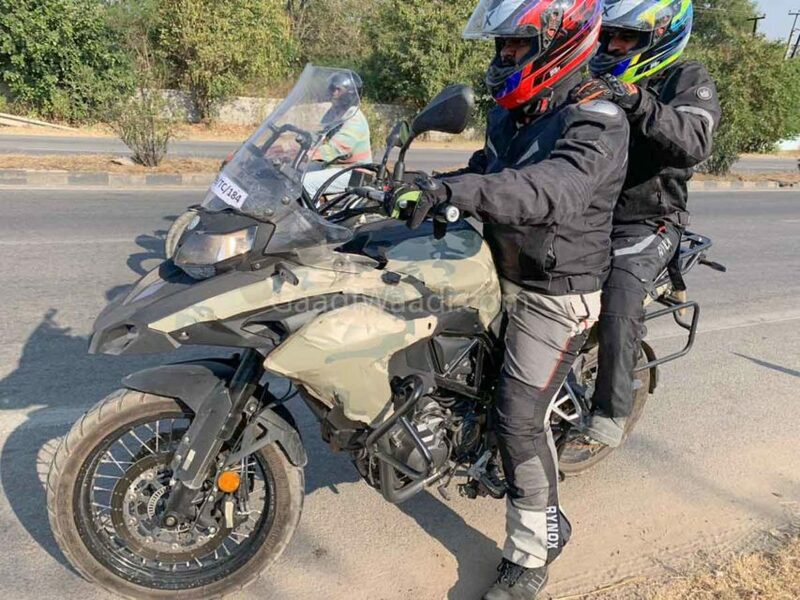 The engineers have tuned the suspension for a comfortable ride and the 502X come with high ground clearance also as it will help the adventure bike to tackle broken roads. The TRK 502X rides on 19-inch wheels at front and 17-inchers at the rear. Benelli has given wire-spoke wheel as the front gets 110/80-section tyre and 150/70 section tyre at rear with Metzeler rubber. The TRK 502X is powered by 499.6 cc, liquid cooled engine producing 46 hp of power at 8,500 rpm and 45 Nm of torque at 5,000 rpm. This engine is mated to a 6-speed gearbox and dual-channel ABS is standard. The TRK 502 X and 502 will be launched in early 2019.